Let the people rise and pass judgement on the conservative politics responsible for the impeachment situation and the failure to guarantee the livelihood of the people! 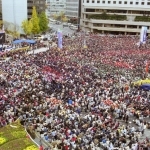 The 1.4 million workers, 400 thousand peasants, and public citizens longing for progressive politics have no way to suppress their indignation as they have become aware of the unprecedented impeachment of the President on the 12th of March. 1. Do the members of the National Assembly, who are facing the expiration of their term, have the right to impeach? Are the Democratic Party, tainted by the abuse of power and graft, and the Grand National Party, which the entire nation recognizes as being a corrupt organization, qualified to impeach the President? 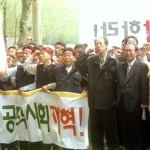 The passing of the impeachment bill, an abuse of the power of the majority carried out as if it were a military operation, is a criminal act against the people and an outrage that turns back the history of Korean democracy. 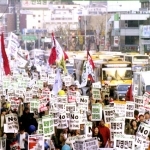 These parties, the synonym for reactionary, conservative, and corrupt organizations in Korea, and which have also obstructed democracy and progress in our society, deserve to face national resistance from the people for carrying out the impeachment because they were blinded by victory at the elections, while at the same time disregarding the livelihood of the people. 2. 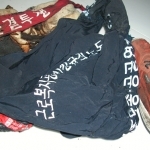 However, the President Roh and the Uri Party have also provided reasons for the current state of impeachment. President Roh, with victory at the upcoming general elections as his sole objective, has played the vote of confidence as his trump card, which in turn has led to chaos in the affairs of the state and total disruption of the people's livelihood. 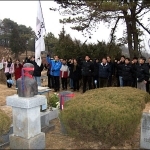 Was it not the Roh government and the Uri Party which chose as its party line the passing of the bill for the dispatch of troops to Iraq and the Korea-Chile Free Trade Agreement, thereby devastating the livelihood of countless workers and peasants? 3. The 1.4 million workers of this country have been trampled by redundancy dismissals(layoffs), the violation of basic labor rights, and the modern form of slavery: discrimination against irregular/contingent workers. The 400 thousand peasants have thrown themselves into resistance to defend national agriculture and rice. Urban commoners are mired in the wretched situation of having to give up on life or resort to crime because of household debt, skyrocketing leases and rents, and chronic unemployment. 4. 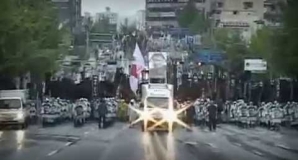 The current impeachment juncture proves that Korean politics is in a irreparable state. Entrusting the affairs of our state to the reactionary/conservative/corrupt political forces that have mocked democracy and driven the people's livelihood into crisis means forcing our citizens into a state of demise. The people rising up to pass judgement on stale, conservative politics in order to realize new, progressive politics has emerged as the task of our period. 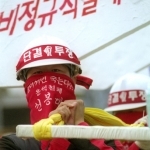 In this critical period, the presidents of the Korean Confederation of Trade Unions, the National Farmer's League, and the Democratic Labor Party have urgently gathered and jointly declare the following positions in order to organize a common response to the impeachment situation and crisis of the people's livelihood which we face. 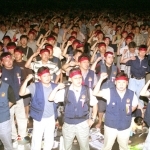 1) The 1.4 million workers and 400 thousand peasants strongly denounce the impeachment crisis caused by the reactionary/conservative/corrupt political groups, and will resolutely launch, along with the 47 million people of the country, the struggle to drive out the reactionary/conservative/corrupt political forces. 2) We reconfirm that the only way to fundamentally resolve the current situation and to realize livelihood for the people, democracy, independence and equality, is to pass judgement on the stale, corrupt, and conservative political forces and to attain progressive politics in this country. 3) To do this, we will hold a workers-peasants-urban poor-student-progressive party representatives' joint press conference and emergency assembly on the 16th(Tue), with delegates from company trade unions, city/county/district farmers organizations, university student councils, and urban poor organizations participating. With this meeting as the start, we will commence the continuous, joint, pan-national struggle to completely drive out the corrupt and conservative politics from this land.